Every day, people come in to our stores, call one of our locations, send us an email or connect with us on Facebook, and they hear this question asked by one of our team mates: “What is it that I CAN DO for YOU?” Want to know why we ask? It’s because every day, we want to do something for someone. Most times, people are looking for help determining the best fence or deck for their home. But sometimes, it doesn’t have anything to do with our products or services and we are OK with that. WE ARE A CAN DO CULTURE! Our goal is 100% customer happiness. We believe if we continuously reach this goal, then we are a shoe-in for…the Heisman? An Oscar? A Nobel Prize? Well, a shoe-in for whatever award is given to the company that is the best company on Earth at what they do. Until we find out what award that is, our satisfaction comes from hearing our customers tell us we have exceeded their expectations. At Fence Authority: Every day, CAN DO! Paramount Fencing Inc. is committed to the goal of being a premier provider of high quality fencing sales and installation services throughout Eastern PA. We strive for excellence in every aspect of our business from our product selection to the finest detail of our standardized return call policy. We stand by our product installations with a five year written warranty against installation defects and have selected manufacturers who provide the best warranties in the business against manufacturer defects. Paramount strives for excellence through our commitment to a strict adherence to our manufacturer’s requirements, industry standards (AFA) and our devotion to the concepts of customer service and employee satisfaction, and continual improvement. 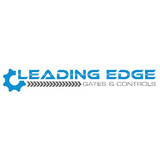 Leading Edge Gates & Controls, LLC was founded in 1993 by Rick and Lisa Burns as a way to provide a service to a select market by providing installation and service of automated gate systems. The typical company to offer this is usually found in a fence company, which is where Rick started out and learned the gate operating business. After several years in the industry he felt he had more to offer customers by focusing solely on the automated gate industry. So the business was created specializing in the automated access systems and providing only top of the line products that will give our customers years and years of dependability and that offer generous manufacturers warranties. We have built the business on strong family values, we treat each and every one of our customers like we treat our own family. Since this is a family owned and operated business, this is very easy for us, WE LOVE OUR CUSTOMERS!!!!! We warranty our installations for one full year and provide preventative maintenance agreements to keep all of the hydraulic and mechanically driven operators working properly. We service private residences, such as the Vice President of the United States home, military bases - Dover Air Force Base - Air National Guard - Army National Guard, as well as many state and county facilities along with manufacturing facilities. We even service many beach communities in the Lewes, Dewey, Bethany Beach, and Fenwick Island areas. We are happy to provide references with contact names upon request. We value the service that we provide and make a commitment to each and every customer that you will be happy with your new investment for years to come! 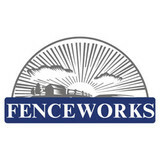 Fenceworks is a full service installation and wholesale fencing supplier that continues to take the mystery out of fencing options and enables residential and commercial contractors to find just the right fencing for their every need. Fenceworks’ clients experience the extra care and attention they deserve, no matter how large or small the job at hand. Our experienced installation crews always perform their trade in a professional manner. All divisions are managed by employees with over 20 years experience in the fencing, decking, kennels, access control, and flagpole industry. Security Fence Company is a stocking distributor for all major manufacturers in the fence industry; and we service over 300 independent fence dealers and numerous retail stores. Morrison Fence is family owned and operated. Bill and Linda have been providing customers with privacy, pool, security & safety fence for over 20 years. They specialize in enclosing pools and protecting your children and pets. Morrison Fence is equipped to solve all your needs from small repairs to removing old fence and installing a new fence with quality materials. 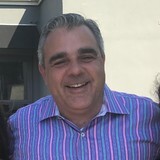 Pat O’Neill operates an established Fence Company in Schwenksville PA that provides fence installation and repairs throughout Montgomery County. The company was started in 1981 by John O’Neill and has operated continuously ever since. Pat handles the day to day operations and John remains active in the company. Pierce Fence is a dedicated fence company that has built a reputable name in Delaware and surrounding areas. The Pierce name has become synonymous with the pursuit of quality and service that has made it one of the most well known names in the business. We started when a simple hand-shake would suffice in business. Today, we offer a variety of displays and samples. We specialize in custom projects and fabricate are own vinyl. We are also a member of the American Fence Association. GreenWay Fence & Railing Supply offers premium vinyl and aluminum products. Our fencing, decking, railing, and specialty products add design, dimension, and beauty to any landscape. Visit our website if you're a dealer or installer looking for products, or a homeowner ready to create the outdoor space of your dreams! At American Discount Fence we strive to provide our customers with quality installation, using material selected from the finest suppliers at competitive pricing. American Discount Fence is family owned and operated and has 50+ years of experience. Our business goal continues to ensure the complete satisfaction of every customer, while offering knowledgeable and friendly service. Our professional staff and installation team have years of experience and can help provide suggestions and solutions to meet your fencing needs. Stop in and visit our Design Center located in Runnemede, New Jersey. You will be sure to find a complete selection of Vinyl / Aluminum / Wood and Chain Link fence products. Our residential fence and railing division has continued to grow since our inception in 1998. No job is too small or too large for us. We do everything from large fence projects to secure your property, pool enclosures, small trash enclosures and railing around your step or landing. We also provide major or minor repairs on your existing fence. Since our inception, we have built a strong reputation based on customer satisfaction. It is one of the main reasons our residential customers continue to recommend us to their family and friends. Our commercial clients continue to call us time and time again to complete their fencing needs. We build and install cedar fences and garden structures from the most simplistic to the most complex. We install a variety of aluminum, vinyl, chain link, and steel materials. Smucker Fencing specializes in fence, railing, and gate work. The products we offer include aluminum fencing, arbors, chain link fencing, estate gates, porch railing, vinyl fencing, and wood fencing. Whether you need to secure your yard or just add some decorative flair to your landscape, fences are an integral part of a home’s exterior and curb appeal. Given their security and aesthetic importance, they need to be designed, installed and repaired correctly — luckily, fence contractors in Chatham, PA can help. From devising custom fence designs to general fence repair and maintenance, these pros will have your fencing looking fancy in no time! Your Chatham, PA fence installation and repair professional will work with you to create your ideal fence. Fence installation or replacement. If you are in the market for a brand new fence, a contractor’s services will include walking you through various fence styles and materials, determining a suitable height, ensuring that all fence designs and plans are compliant with Pennsylvania building codes, and that the fencing meets both your stylistic and security needs as the homeowner. Fences and gates must complement the grade of your property as well as the type of soil you have, so the contractor should always plan around these considerations. Additionally, if you don’t know exactly where your property lines are, he or she can commission a survey for you. Find a fence contractor in Chatham, PA on Houzz. 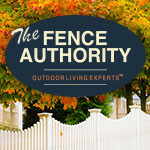 Narrow your search in the Professionals section of the website to Chatham, PA fence contractors. You can also look through Chatham, PA photos to find examples of fencing and gates that you like, then contact the professional who worked on them.